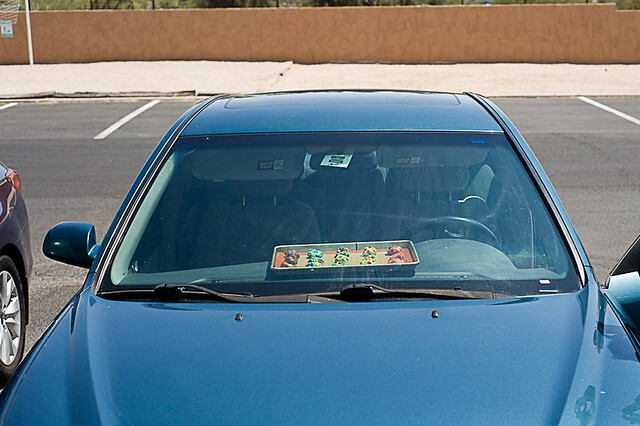 Apparently even the national news has picked up on how friggin hot Arizona is right now. I mean, it’s typical for June to see temps above 105, even 110, but we just broke a record: 115, making yesterday the third hottest day on record. But for real, though: as atrocious as this heat is, it makes the rest of the year that much sweeter, and turns the arrival of monsoon season into a welcome relief instead of a humid slog. June is a harsh month, when the temps can jump from 80 to 90 to 110 within a few days and stepping outside is equivalent to stepping into an oven. But it’s only a month. Without June, we wouldn’t have monsoons. I’m not 100% sure how the meteorology works, but the building heat somehow draws in the moisture that turns into thunderclouds and rain in July. It helps knowing this, as well as knowing we only have to endure for a few more weeks. Staying inside and running the a/c also helps. Keeping a sense of humor about the whole thing makes it even easier. For this particularly hot day, I decided it was time to take advantage of the heat. I also wanted to bake, but without having to use our oven in the middle of the day. Why not use the heat for baking? 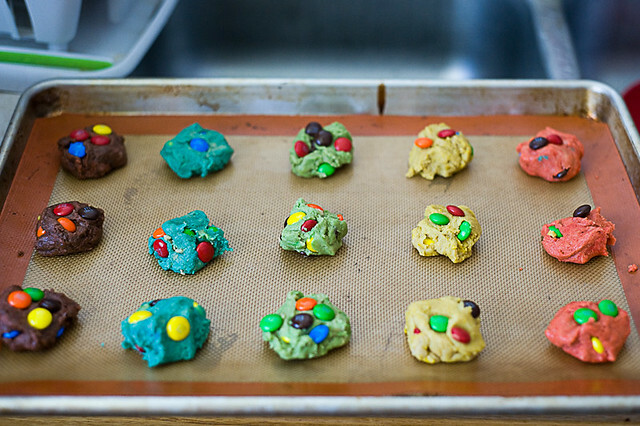 Thus, car-broiled cookies were born. 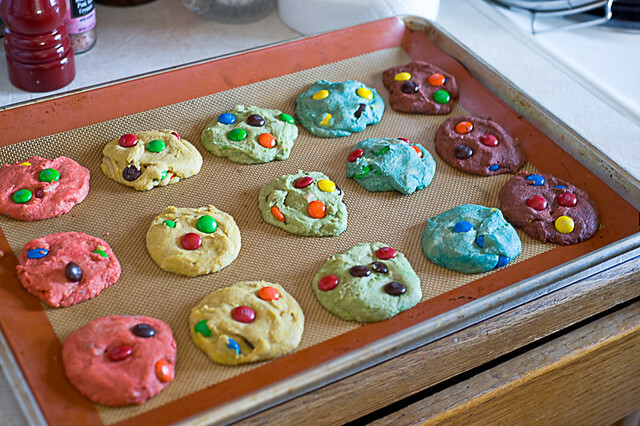 Step 1) Take your average chocolate chip cookie recipe and spice it up with a rainbow of colors. 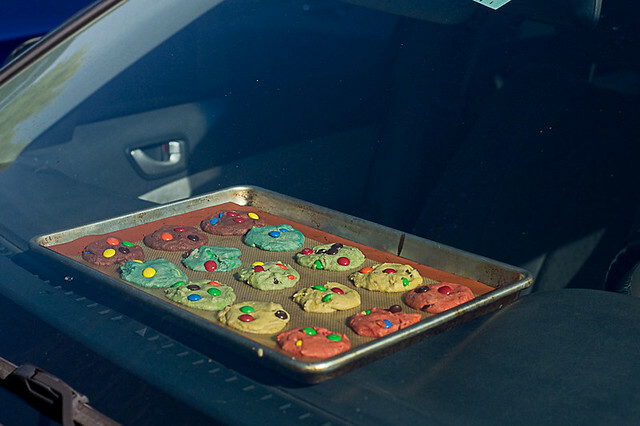 Step 2) Insert cookie dough into pre-heated car. Step 3) Let bake for 3-4 hours. Step 4) Remove (with oven mitts!!) and enjoy! Inside. Preferably.